We love to welcome you at Duinhotel Haga in Zoutelande. 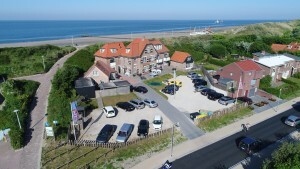 Our hotel is very close to the beach of Zoutelande at a unique location. Beside that it’s near the beach it’s very close to the centre of Zoutelande with stores, bars and restaurants to visit. We can offer you comfortable rooms for one, two or more persons. You can also stay with family. Beside these rooms we have studios in our hotel. A great advantage is that we have our own parking spots for every room.